Air conditioning is the perfect way to keep temperatures comfortable in hot weather. One of the places that will benefit most from air conditioning is a school. During the summer, classrooms can overheat very quickly on hot days which results in reduced learning. When students are exposed to the hot weather it can reduce concentration, problem solving, social skills and more. A comfortable classroom environment is essential for learning. Not only is a cool temperature important for learning but for health too. When anyone is exposed to hot temperatures for a long time it can lead to dehydration, heat stroke and more. Air conditioning is an essential for schools in hotter climates. The weather will affect the way students work at school. Here are four reasons why air conditioning is so important and how it will benefit children at school. Concentration – When someone has been exposed to high temperatures their brain stops concentrating and focuses on cooling the body down instead. This means in a classroom that students will not concentrate as much as they should. The brain works best in a comfortable temperature. By having higher concentration children will work better which results in higher exam grades and overall grades. Air Quality – Air conditioning creates better air quality in the classroom. It filters the air and clears toxins from the environment. This gives students and staff better health. Not only that but students have shown that the cleaner the air the better their grade. Air conditioning can help some allergies to. Complex Lessons – With the students concentrating more in a cool classroom it allows lessons to become more complex during the summer and the hottest time of the day. Both students and teachers can work more efficiently in a room with a comfortable temperature. 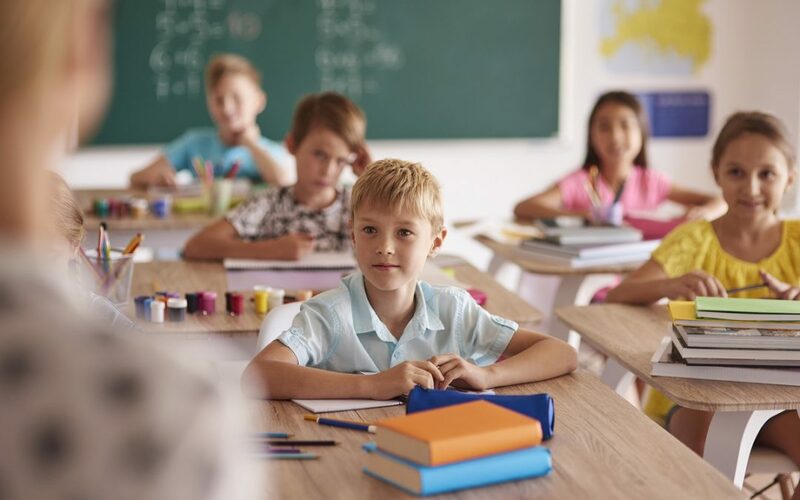 Lessons will also face fewer disruptions in comfortable classrooms as people get irritated and have low moods when exposed to hotter temperatures. Teachers have seen the improvement in the behaviour of students when they are learning in cooler temperatures. Staff can also keep P.E. lessons on the timetable during the hot weather. Exam Results – Studies have shown that when students are exposed to overheated classrooms they are around 12% more likely to fail an exam and the chances of them graduating drops by around 2%. The temperature can make students careless and decrease problem solving skills. By providing a cool classroom the students get the best chance at success. Air conditioning benefits everyone. Not only does it help concentration and more, but it can save on energy bills too Many schools worry about the transition into using air conditioning because of the cost but schools can run affordable air conditioning. Apex Airconditioning can give you advice on choosing the best air conditioning unit. We can also advise on whether you should replace your older system. Our professional team can install new air conditioning units and replace old ones. If you want more information on air conditioning installation, contact Apex Airconditioning today! We are one of the best businesses in Sydney air conditioning.